Campaign Update! One week to go! Huge news! This week all donations to our Radical Renovation will have twice the impact! Over the weekend, one of our generous donors got in touch and offered to match every donation to get us to $10,000 in the last week of crowdfunding for our meeting room makeover! There is one week to go. Please donate, share and help us get the word out in these final days! We are so close to our target, and with every dollar being doubled this week - we're closer than ever to finishing off this project! We're doing one final push to smash the target and finish off our meeting room renovation! 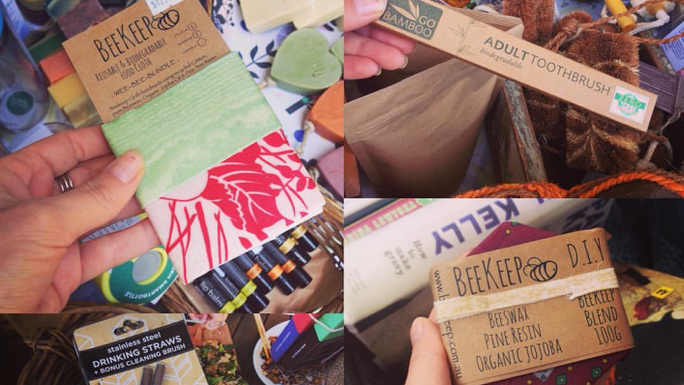 With every dollar contributed going twice as far, can you hassle a friend to chip in for some FoE tea towels and encourage your networks to support with a donation and pick up one of our amazing, plastic-free packs? 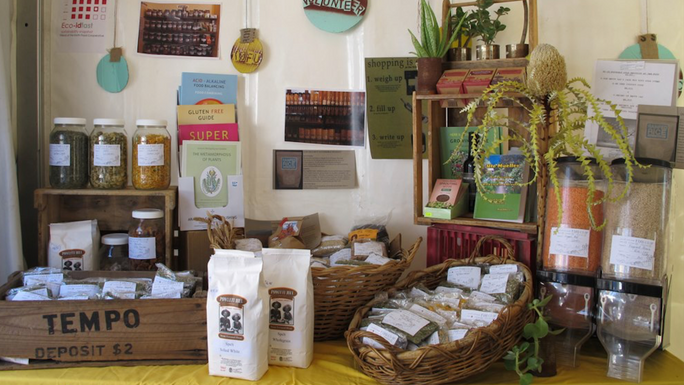 Or, recruit some friends for a cooking class at the Friends of the Earth Food Coop and Cafe? These are the last days of fundraising (and the last email i'll send, i promise!). Thank you again for helping us to create a beautiful, creative, and functional space to organise from! With more people than ever getting involved in environmental issues, we have started to rock the foundations of our humble home on Smith Street! The space is literally starting to fall apart around us! In 2018, we secured a grant to help us renovate (yay!) and work started over the summer break with essential safety upgrades (reparing floors, wiring, and getting to work on the kitchen). We blew the budget. No work has been done on the space for nearly 2 decades, so costs for the first stage of the project have exceeded all our expectations. With 13 collectives and many volunteers relying on the space to use daily, we need your help to get this project finished, so that we can get back to the job of campaigning for social and environmental justice. There's a reason we havent spent money on the space until now. 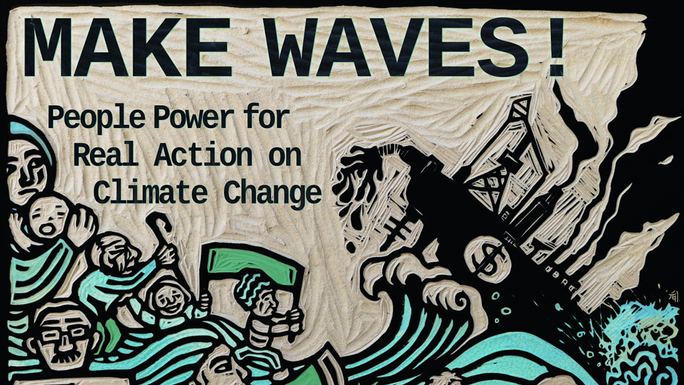 As a grassroots group without huge cash flow, we put as many resources as possible into supporting community activism for climate action. And with good reason. Investing in community and volunteers has won us a Victorian Renewable Energy Target, banned fracking in Victoria, protcted the Strzelecki forests and much, much more! All with people power! Please help us get back to the work we are great at! The renovations are underway, but with increasing costs, every penny we spend over budget will detract from spending on the really important stuff - like shutting down the fossil fuel industry, and protecting the last of Victoria's precious old growth forests. With $5000 we can finish stage one of the project: the floors, the walls, a new kitchen, and accesibility rails on the stairs. 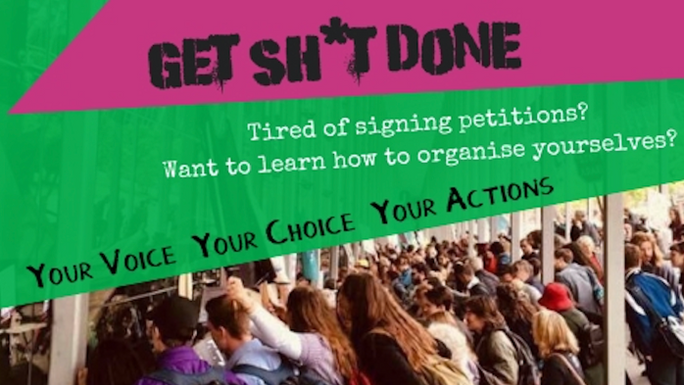 With $10,000 we can finish all that *and* start stage 2: transforming the room with tech and functional upgrades, so that we can maximise the space for banner painting, prop making, fundriasers, campaign events and meetings for FoE collectives and the broader activist community. With $15,000 we can get the meeting space fully functional *and* start thinking about replacing the staircase. Luckily, we have some great friends! There's some wonderful art, merch and gifts on offer when you help us out. All contributions come with those warm and fuzzy feelings, knowing you're helping to keep the heart of Melbourne activism beating! Please note that these contribitions are not tax-deductible. If you'd like to make a tax-deductible donation, you can do so on our website. 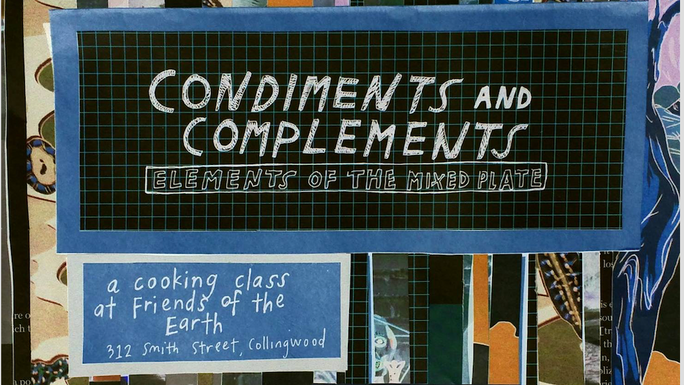 Friends of the Earth acknowledge that we meet and work on the land of the Wurundjeri people and that sovereignty of the land of the Kulin Nations was never ceded. We pay respect to their Elders, past and present, and acknowledge the pivotal role that Aboriginal and Torres Strait Islander people continue to play within the community. 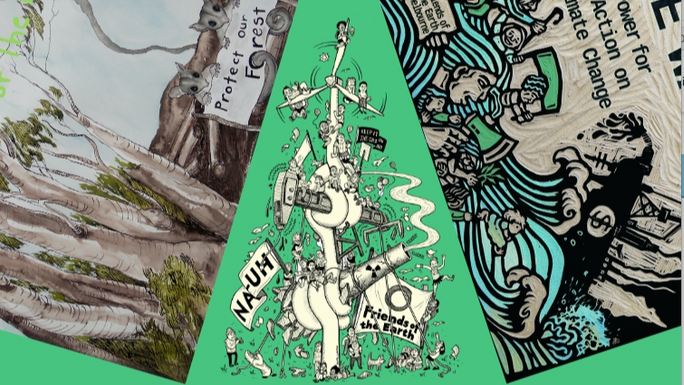 Help Friends of the Earth finish our meeting room upgrade so we can continue to provide a vibrant organising space for Melbourne's activist community! The famous 5! 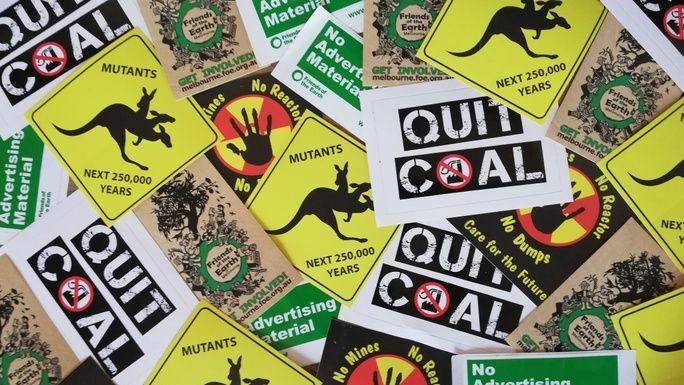 A sticker pack from FoE's campaigns to keep fossil fuels and uranium in the ground, and unwanted paper out of your letterbox! Radicalise your kitchen and help us achieve our vision of a wave of people power becoming the force that sweeps corporates and political leaders aside as we work towards environmental justice with this beautiful printed tea towel from Melbourne based artist, UbTopia. Made in Australia and printed on hemp and organic cotton. 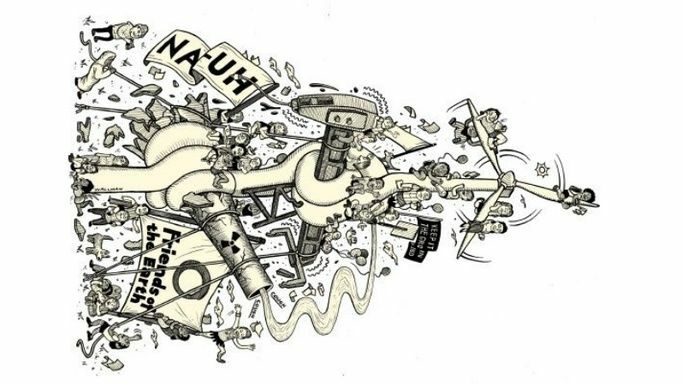 Radicalise your kitchen and help us fight to keep fossil fuels in the ground with this archive poster tea towel from Melbourne based artist and cartoonist, Sam Wallman. Made in Australia and printed on hemp and organic cotton. 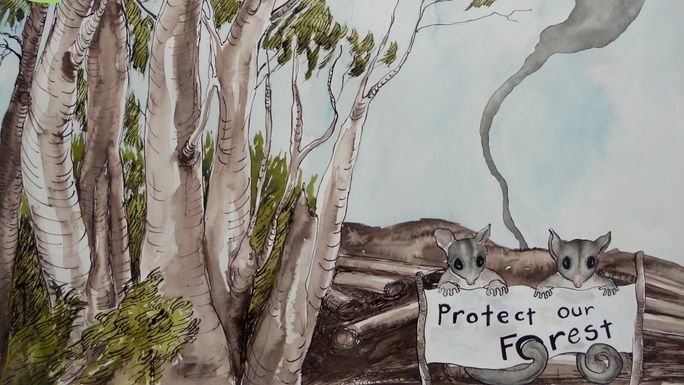 Radicalise your kitchen and help us fight to protect Victoria’s forests from destruction with this beautiful tea towel from artist Catherine Hearse. Made in Australia and printed on hemp and organic cotton. Get all 3 beautiful printed tea towels from Melbourne based artists, UbTopia, Sam Wallman and Catherine Hearse. All made in Australia and printed on hemp and organic cotton blend. Party with a purpose with a bottle of vegan wine from our friends at Goodwill Wine. 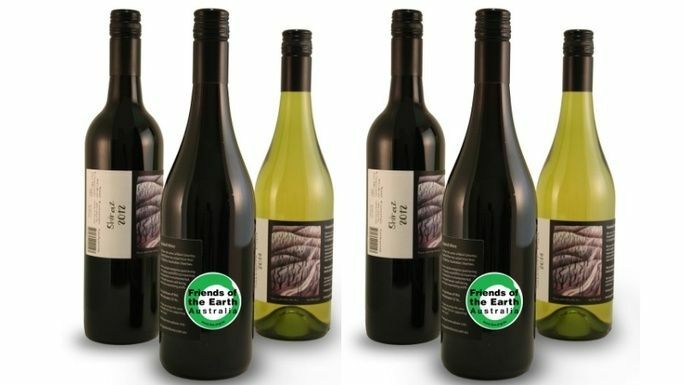 Goodwill Wine uses 100% recycled cartons and support FoE with the sale of their delicious products. Must be picked up from FoE in Collingwood. Products may vary from images pictured. $50 FoE x Wallman tote bag! 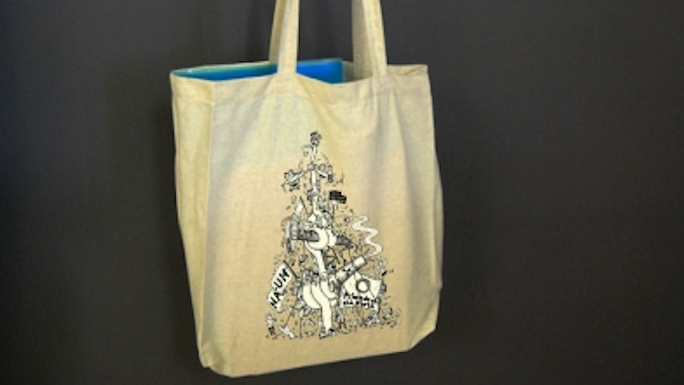 Wear your support on your sleeve with this beautiful printed tote from Melbourne based artist and cartoonist Sam Wallman. Bags made in Australia from Hemp, Recycled Cotton & Recycled Rayon. $50 FoE x UBTopia tote bags! Wear your support on your sleeve with this beautiful printed tote from Melbourne based artist, UbTopia. 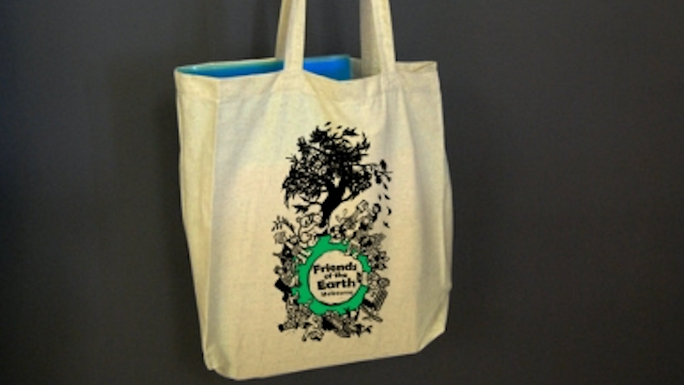 Bags made in Australia from Hemp, Recycled Cotton & Recycled Rayon. 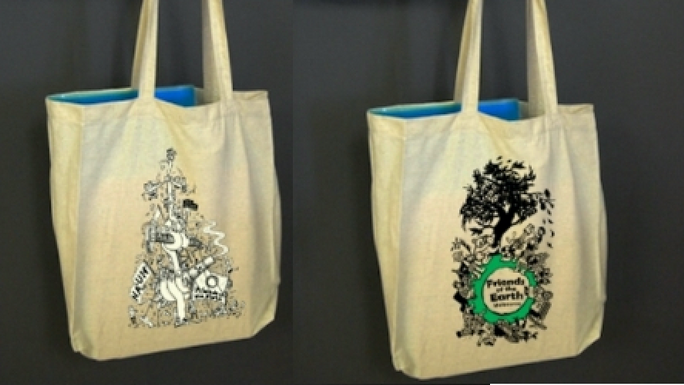 Pick up both FoE x tote bag designs, with art from UBTopia and Sam Wallman. All made in Australia and printed on hemp and organic cotton blend. Est. Delivery Date: Dates coming soon! Learn some delicious vegan dishes, made from locally sourced organic ingredients, then enjoy your creations for dinner at the famous FoE Food Coop and Cafe! 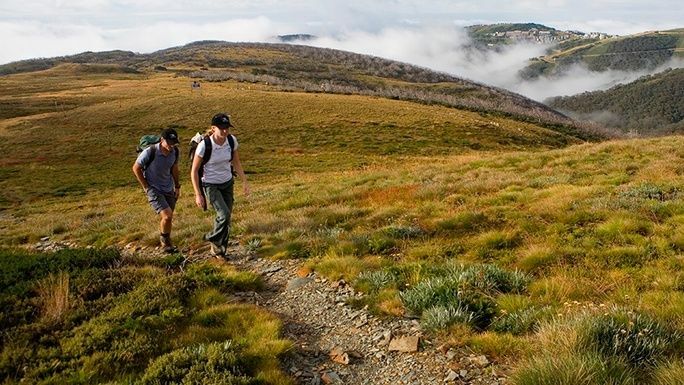 $1,000 Mt Hotham Summer House Weekend! Enjoy a weekend at a wonderful Mt Hotham summer house. Property can sleep 6-8 people and is close to Alpine walks in this stunning part of Victoria! Must be outside of ski season. * $2,025 in offline donations included in total. Get in touch with Radical Reno!